Keeping your four-legged friends safe and happy on road trips can make your summer travel plans even sweeter. Cracked or damaged glass in your car or truck, however, can present serious risks to your pets. 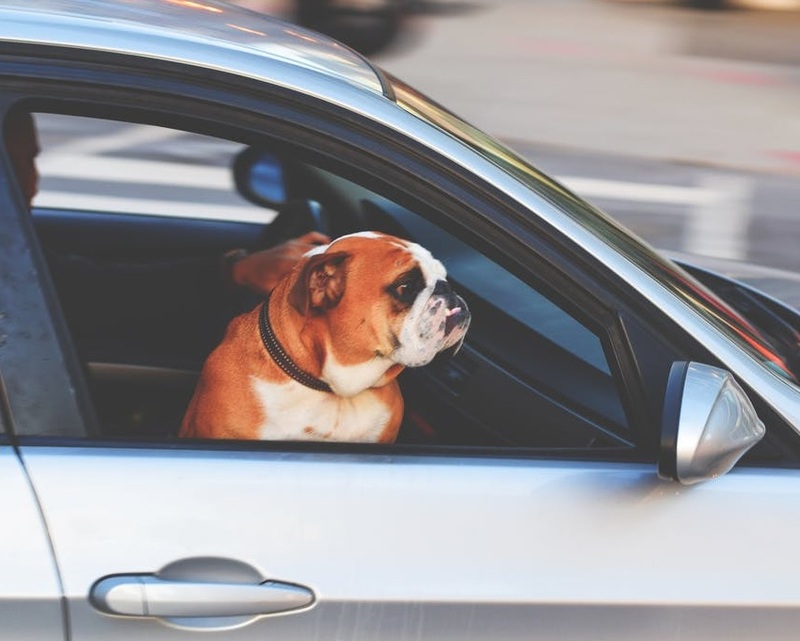 Your Houston auto glass repair shop can provide added help in creating a safe space for cats and dogs inside your vehicle and making sure that you are ready to take on the open road with the people and pets you love. Here are some important tips on how to protect your pet when traveling by car or truck. Making sure your dog or cat cannot interfere with your driving duties can help you avoid accidents and can ensure greater safety for these four-legged family members. Crates are best for cats and smaller dogs. For larger dogs, seat belts designed specifically for pets can provide the right balance of mobility and safety in the back seat of your vehicle. Dogs and cats are just as vulnerable to high temperatures as people and can quickly become dangerously overheated. Make sure that your pets are kept cool and comfortable throughout your trip and that they have plenty of water available when you stop. This can reduce physical stress associated with longer car trips and can help them feel more at ease when traveling. Do not leave your pet alone in the vehicle, even on a relatively cool day, the sun’s rays can quickly heat up the interior. Especially when you are traveling away from home, making sure that your pets have collars and tags with your contact information can provide added peace of mind. Accidents do happen; if your pet is lost or runs away while you are on the road, these identification tags can increase the odds that your beloved family member will be returned to you safely. Check your microchip information and phone number before your trip to make sure that all your data is up to date and accurate. 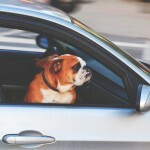 Dogs can be seriously injured by dirt, debris and flying pebbles when hanging their heads out the window. Making sure your pet travels safely inside the passenger compartment of your vehicle can prevent these injuries and keep your dog or cat safer throughout your trip. The Houston windshield repair specialists at Apple Glass can help you prepare for your summer vacation plans with the most cost-effective and reliable auto glass services in the industry. Whether you need a complete Houston windshield replacement to restore clear visibility or a small repair to a chip or crack, we can deliver the right solutions for you and your family. Call us today at 713-680-1400 in Houston or at 281-296-0600 in The Woodlands to schedule your repair or replacement today.